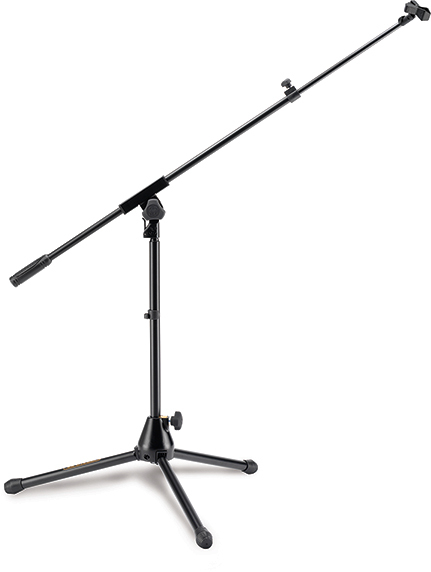 The HERCULES H-Base Low Profile Mic Stand MS100B features the EZ Mic Clip, the EZ Height Adjustment Lever, and the HERCULES "H" Base. It is perfect for table top, kick drum, or any other low profile application. The Quick-N-EZ Height Adjustment Lever releases and locks into position with a touch of a button. The Weighted HERCULES H-Base provides exceptional stability with space saving design. 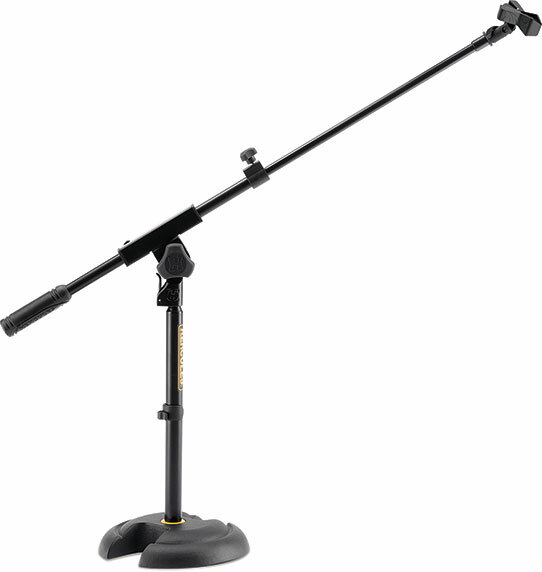 The HERCULES Mic Stand MS201B features the EZ Mic Clip, the EZ Height Adjustment Grip, and the weighted HERCULES "H" Base. The Quick-N-EZ Height Adjustment Grip with easy trigger action releases and locks into position with a squeeze of the handle. The HERCULES Stage Series Mic Stand MS202B features the Quick Turn Clutch, and the weighted HERCULES "H" Base. Height adjustment is easy and fast with Quick Turn design. The Wide-Base, Tripod Swivel Legs adjust independently, fit around other equipment easily, and fold up compactly. The Weighted HERCULES H-Base for exceptional stability with space saving design. The 2-in-1 Boom Clamp with Single Knob Adjustment safely secures boom length and angle. The Quick-N-EZ Boom Flip Clip releases and locks into position easily securing boom clamp in place. The 2-in-1 Boom Clamp converts stand from straight stand to a boom stand quickly and easily.